Motherwell fans can enjoy a 20% discount with our new partners Top Cat Window Blinds. Based in Central Scotland, you’ll find the perfect window blinds from their extensive range of fabrics and colours. They have an extensive range of quality products with prices to suit everyone’s budget. From traditional to contemporary, their huge collection of blinds are available in an array of fabrics and styles complete with accessories and fittings to suit your requirements. Just show this advert on your phone, or print it out, when you’re buying. To find out more, or to see their range, head to Top Cat Window Blinds‘ website. Motherwell got their SWPL 1 campaign off to a winning start, defeating Stirling University 1-0 at Fir Park on Sunday. Captain Kerry Montgomery’s wonder strike was enough to ensure that the three points stayed in Lanarkshire, with a clean sheet as an additional bonus. It was a nervy start for ‘Well. An early mix up at the back nearly gifted Eva Rule an early goal but home keeper Morgan Hunter, making her first appearance in claret and amber, saw the danger and tracked back to gather the loose pass to clear the danger. The women of steel grew more and more into the game and the first chance fell to Scotland international Sarah Crilly. The winger burst down the right wing producing a dangerous looking cross only for the ball to be scrambled clear by the Stirling defence. With just under half an hour played, the hosts came the closest to drawing first blood. Stephanie Knox was at the back post from the corner kick when the cross came over. Amongst the bodies in the box the ball fell to the defender, but she couldn’t stretch out to poke it over the line. After the first sniff of goal, the momentum in the match looked to be with ‘Well. Some good build-up play between the midfield and forwards opened the door to more chances with the Stirling defence tested on numerous occasions. But it would be honours even at the end of the first half, with both sides unable to find the net. The start of the second half mirrored that of the first, Stirling started brightly but their attacking threat didn’t pose too many issues for Hunter. At the other end, Motherwell’s first chance came in the form of a corner. Katie Rice’s delivery was swung into a dangerous area, but again the Stirling defence were able to clear their lines. The deadlock was finally broken just after the hour when Montgomery opened Motherwell’s SWPL 1 scoring account in outstanding fashion. The captain picked up a pass from the left wing, dribbled into space and, after spotting the keeper off her line, unleashed a rocket of a strike from her right foot that flew into the roof of the net. Motherwell came so close to increasing their advantage shortly after, but struck the frame of the goal twice in a matter of minutes. Former Hamilton Accies forward Rice met a teasing cross with a powering header that smashed off the crossbar, much to the delight of Stirling keeper Chloe Logan, who was rooted to the spot. Substitute Mhairi Fyfe saw her shot cannon off the post as ‘Well sensed blood, but Stirling survived to keep the match delicately poised going into the closing stages. Another sub, Caitlin Russell, could’ve ended the match as a contest when she was sent racing away. However, her effort lacked enough power and it was comfortably stopped by Logan. After a slight scare late on in the home box, Russell had another opportunity to add to the score sheet, but her effort again lacked conviction and Logan again blocked. Next up for Motherwell is a trip to face Forfar Farmington on 17 February. Hearts are the next visitors to Fir Park on Sunday, February 17, and you can watch the match in comfort and style in our hospitality suites. Here are the packages we’ve got on offer for you to choose from and enjoy. Kick off is at 12.15pm. Priced at £65 for adults for our pay bar offering, or £95 for an inclusive bar for the game with Hibernian, or £90 and £120 respectively for the other two matches, you can enjoy a three-course lunch, before taking in the game in comfort in our Phil O’Donnell stand. With half-time refreshments and a chance to unwind in our suite after the match, it’s the perfect way to watch a match with us at Fir Park. What’s more, season ticket holders can upgrade to our pay bar package for just £45 per person. You can buy quickly and easily online for the games with Hearts right now. Alternatively, give us a call on 01698 333333 to speak to one of our hospitality team. If you’d prefer just light refreshments before the game, but arguably an even better seat in the house in our director’s box, then there’s also our Millennium Suite. With complimentary drinks one hour before and after the game, snacks on arrival and at half-time and a ticket for the match, for £75 per person you can come and enjoy our hospitality. You can buy online for the games with Hearts right now. Alternatively, give us a call on 01698 333333 to speak to one of our hospitality team. Want to watch the game indoors? Sometimes the elements don’t make for the best occasion to sit out in the stand. Don’t worry though, we’ve got your covered with our Cooper and South Stand boxes. Our Cooper Boxes provide an easy way to get in from the cold with a seat in our glass-fronted boxes. What’s more, you can also enjoy half-time refreshments in the Cooper Bar. Priced at £40 for a season ticket upgrade or £48 to buy, we’ve got availability online now for Hearts. Our similar boxes in the South Stand come with a range of great packages for you to enjoy, or better still use to entertain at any of our Premiership fixtures. Our South Stand Box package is our ultimate one, providing you with a three-course meal, inclusive drinks, armchair seating and half-time refreshments for £130 per person. Our Bois Club package allows you to arrive 90 minutes before the game and enjoy a hot buffet and inclusive drinks for an hour before kick off, as well as half time pies, for £70 per person. You can upgrade to spirits for an extra £20. Grab these deals online now for the games with Hearts right now. Alternatively, give us a call on 01698 333333 to speak to one of our hospitality team. Motherwell open their SWPL1 campaign on Sunday afternoon as Stirling University visit Fir Park. The close season has been one of major transition for Donald Jennow’s squad, with only five members of last season’s SWPL2 winning side remaining at the club for their top flight challenge. Making the step up to the top league in Scottish women’s football will represent a stern test for the women of steel, though they will take confidence from their performances and results in pre-season. A 2-2 draw with Newcastle United was followed up with a 3-1 success over St Johnstone. Kick off at Fir Park is 2pm. Entry is free, for all with spectators housed in the Phil O’Donnell Stand. After recording an impressive fourth place finish during the 2017 season, Stirling University found life in the top flight somewhat more difficult in 2018. They would finish in seventh place, one place and three points above Hamilton Accies who were relegated to SWPL2. Ahead of the new season, interim head coach, Craig Beveridge has targeted an improvement in their league position, sighting consistency as the key to ensuring a more successful year. Sarah Crilly is desperate to get her career with the women of steel off to a flyer when they face Stirling University in the season opener at Fir Park. “I’m buzzing to get going, it’s been a long and cold pre-season,” said Crilly. “It’s hugely important we get off to a good start, Stirling have always been a team that are difficult to take points from. “They are a good team, a scrappy team and I think it’ll be a battle in the midfield. ‘Well gaffer Donald Jennow is relishing the challenge of mixing it with the country’s top sides. And after overseeing a close season of big transition, Jennow has praised the attitude and desire of his new recruits. “We are looking forward to it and I’m happy with how we are progressing,” Jennow said. “Making the changes hasn’t been difficult because of the support I’ve had. “The coaching team have been a great help with recruitment. Our match programme is available for free download now. You can also get goal updates from the match on the @MotherwellFC Twitter account. Midfielders Stuart McKinstry and Reece McAlear netted for Scotland under 17s in a 2-1 international friendly win over Hungary in Murcia. The young duo had to be content with a place amongst the substitutes for Saturday’s 0-0 draw with France at the Pinatar Arena. But head coach Brian McLaughlin named both in the starting team on Friday afternoon and he was repaid, as both ‘Well academy graduates got on the scoresheet to secure the comeback win. Academy director Steven Hammell said: “Reece and Stuart signed professional contracts with Motherwell during the summer and more than merit their place in the under 17s squad, highlighted by their contribution to Scotland’s win. “We have more players who could and will stake a claim to be amongst future squads, the challenge for them is to continue to work hard and impress at ‘Well. 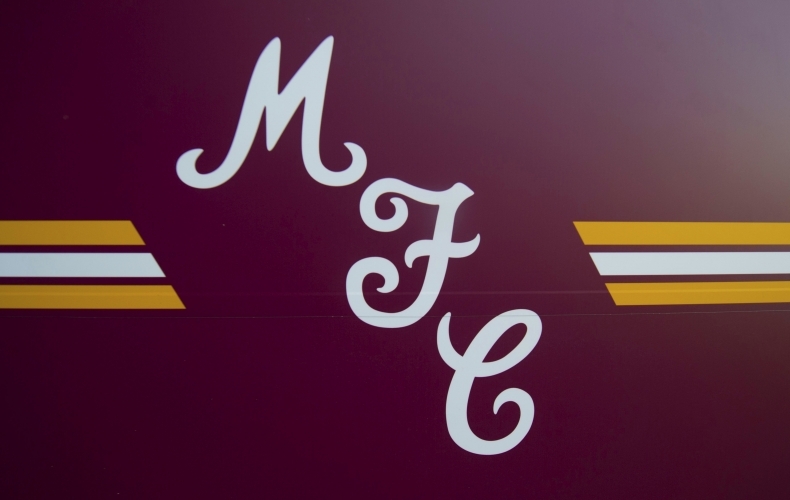 Motherwell Football Club are removing the word ‘Ladies’ from the name of the women’s team. 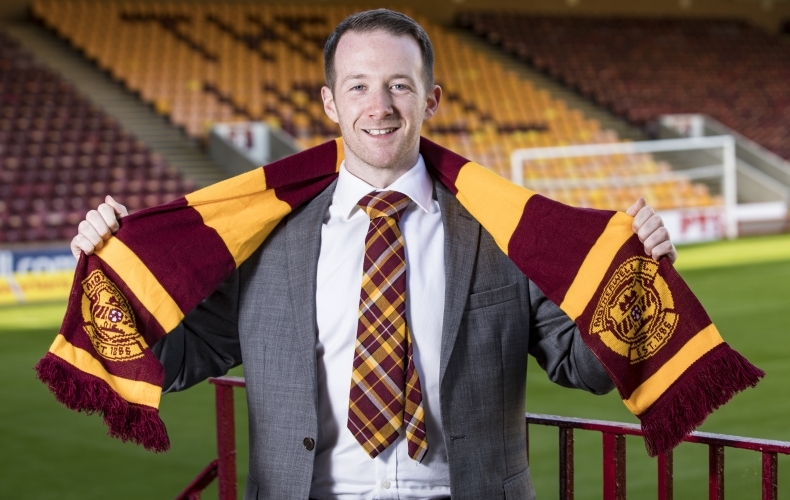 Going forward, Donald Jennow’s side will simply play under the banner of Motherwell Football Club, with reference being made to the team as women only when needed for clarity. 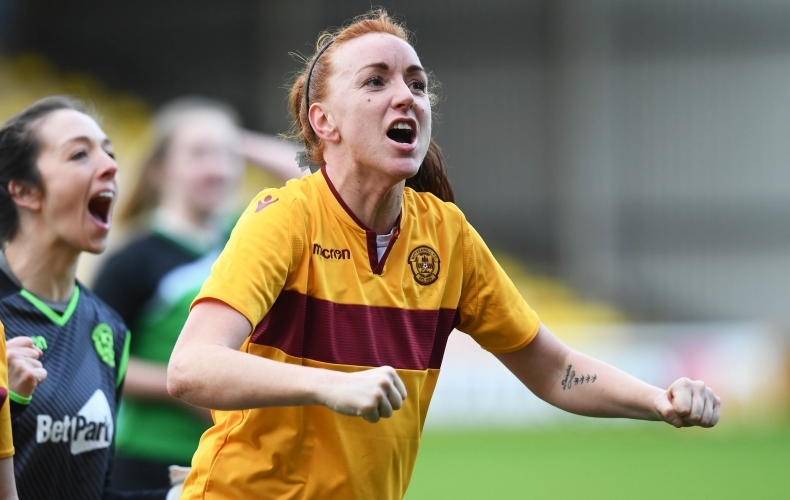 Since officially coming under the wing of the club in 2018, Motherwell have performed outstandingly, winning the SWPL2 title and promotion in record time, and reaching the SSE Scottish Cup final in the same season. In general terms, the club does not think it is necessary to specifically highlight the different genders of teams when discussing any side which is part of Motherwell Football Club. “Whether it is the first team, reserves or women, all of our players play as Motherwell FC,” chief executive Alan Burrows said. “We want to completely remove the idea that our female players exist as some form of ‘arms length’ side. The team, as you would expect, train in club facilities and obviously play in the same kits. Forward Sam McManus added: “Since day one we’ve felt part of the club, so the name change feels a natural progression for everyone. “We’re proud to wear the Motherwell badge and represent the club, and hope that supporters will get behind us as we start playing in the top flight of the women’s game in Scotland. The team start the new campaign in the top flight on Sunday, when Stirling University are the visitors to Fir Park*. Kick off is at 2pm. The women’s team’s social media content will also come from the official Motherwell Football Club accounts on Facebook, Instagram and Twitter going forward. *The nominated home venue throughout the 2019 season will be the indoor pitch at the Ravenscraig Regional Sports Facility. 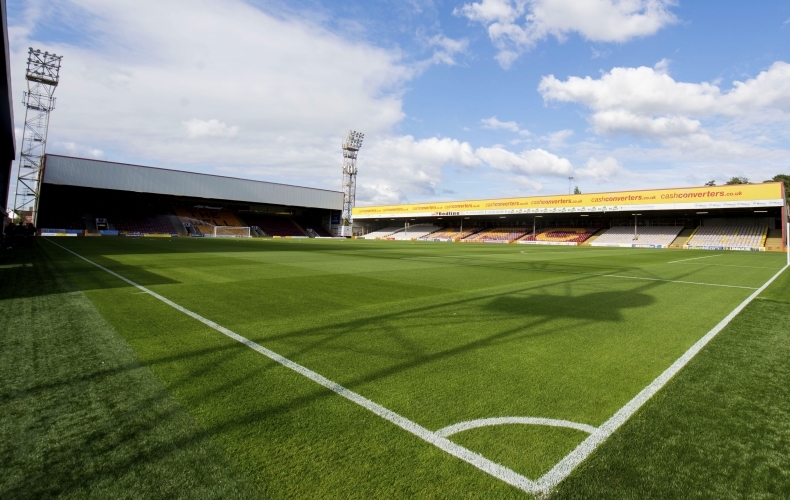 However, due to upgrade and replacement works currently taking place on the synthetic surface, Fir Park is being utilised for Sunday’s SWPL1 fixture. After a short break, Motherwell return to action against Hearts on Sunday, 17 February. The Gorgie club come to Fir Park to face a ‘Well side who are chasing a sixth consecutive Ladbrokes Premiership win. Tickets are available online now or from the Fir Park ticket office. Kick off is at 12.15pm. If you buy online, you can print at home and go straight to the gate, or even show us your ticket code on your mobile phone. The cheaper price is for our John Hunter Stand, which runs along the sideline directly across from our Phil O’Donnell Main Stand. Away supporters should contact their club directly for ticket sales. Hearts fans will be situated in our South Stand. 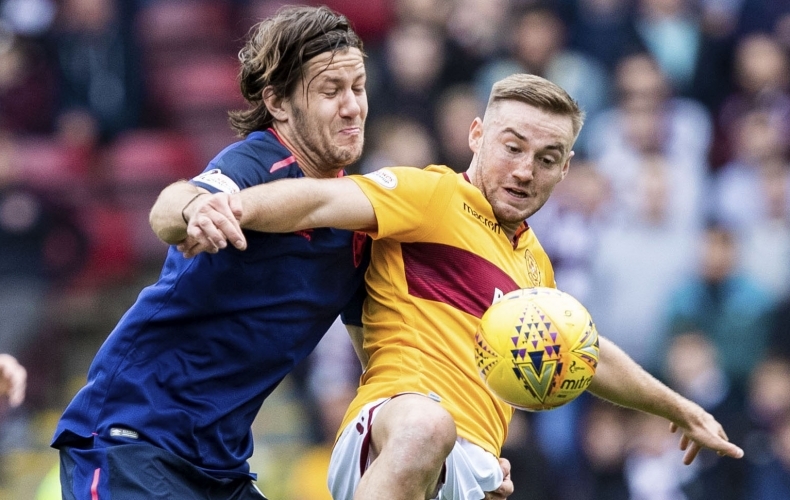 With just days to go until Motherwell play their first ever fixture in SWPL1, the excitement within Donald Jennow’s newly-assembled squad is building. Last season, the women of steel enjoyed a remarkable campaign, setting a record points tally on the way to the SWPL2 title and reaching the Scottish Cup final. The heavy defeat in the cup final to Hibernian was the only disappointment in a season in which Motherwell regularly demonstrated their superiority, with empathic victories and highly impressive performances. Progression to the top level of Scottish women’s football will provide a huge challenge for Jennow’s side. But it is one he is relishing. Only five players of last season’s squad remain at the club ahead of the step up, with the ‘Well boss bringing in no fewer than 13 new faces to Fir Park during the close season. Jennow’s squad have prepared for the new season with friendly encounters against Newcastle and St Johnstone as well as an intense training schedule. ‘Well were denied victory over Newcastle by a stoppage time equaliser, before coming back from a goal down to defeat St Johnstone 3-1. Next up is the season opener against Stirling University at Fir Park on 10 February, with the women of steel determined to get off to a winning start. “Both pre-season games have been very competitive,” he added. “I think St Johnstone will do well this year and I want to thank them for their hospitality on the day. “We know step up in quality of opposition means that we will have to improve as well. “Targets are something that any squad will have, but I think they are best kept in house. “What I will say is that the first job for any newly promoted side is survival – so that’s where we’ll start. 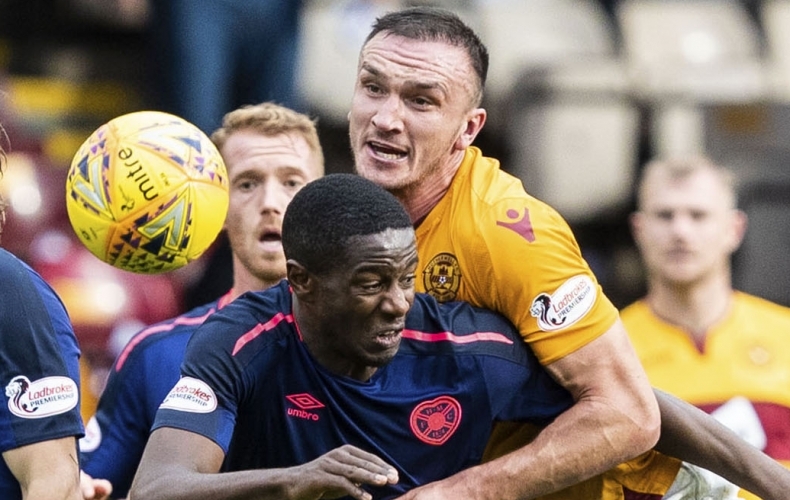 While many Motherwell fans would have followed the successes of the team last season via the club website channels and through social media, it was unfortunate that their only live televised fixture resulted in a heavy defeat. Hibs, who have now recorded back-to-back cup doubles swept Motherwell aside at Firhill, in what was a bitterly disappointing day for the team. Jennow admits he’s still not fully over the pain of suffering such a heavy defeat on the big stage, but believes the turnover in personnel at the club means that there will be no negative effects on his players. “Personally the Scottish Cup final stung and I won’t forget it easily,” he confessed. 2019 is set to be a huge year for women’s football in Scotland and the undoubted highlight will come when Shelly Kerr leads Scotland into their first ever World Cup in June. Domestic football is set for heightened exposure too, with BBC Alba showing an increased number of games during the season ahead. The Motherwell gaffer is pleased that the women’s game is enjoying increased coverage and insists it is just reward for the abilities and dedication of the players involved. As well as increased media coverage of the game, Jennow also hopes to see more supporters getting along to back his team during their first season in the top flight. “Exposure is for the players,” said the former Glasgow City assistant. “They deserve recognition and promotion for their talent and commitment. “Hopefully the players will also feel a bit more valued due to the heightened interest. We headed west chasing a fifth straight league win. The Steelmen didn’t disappoint. This is the Story of the Match from the victory at St Mirren. Homegrown talents Jake Hastie and Allan Campbell got the goals as Motherwell made it five league wins from five, beating St Mirren 2-1.